The world number 16 converted his first championship point after breaking Fucsovics's serve to love. 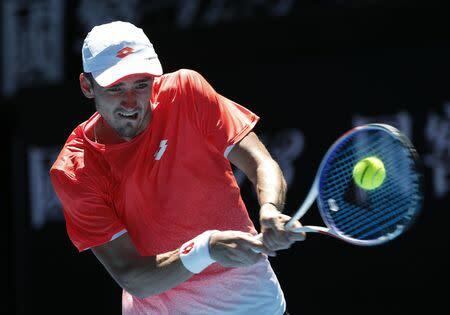 "I always say that my first goal is to improve and then to try to win every match," he said after his comfortable win over Frenchman Gael Monfils at the sem-finals on Saturday. "Only by doing this I can win tournaments. "But at the same time, of course, I have some goals in my mind. To be top 10. I’ve never been there, so it would be great."